OpenChrom can be used to perform a calculation of the SGH (Syringyl/Guaiacy/p-Hydroxyphenyl) and carbohydrate ratio of a wood sample measured by Py-GC/MS technique. 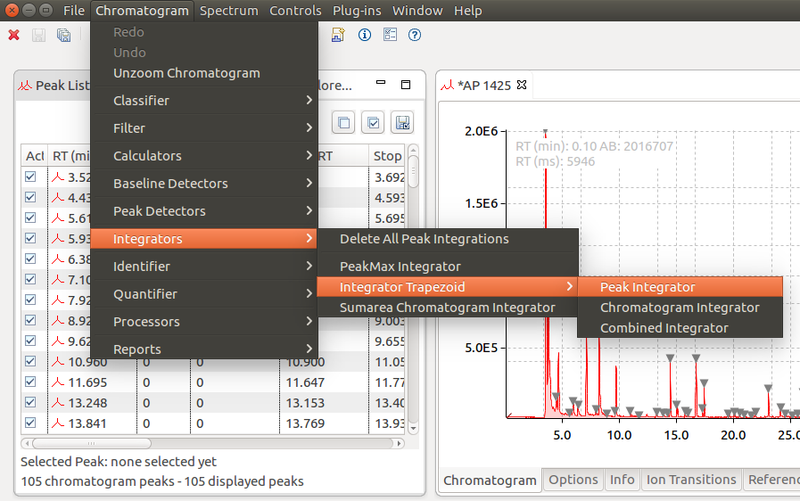 Open the Py-GC/MS file via the “Chromatogram File Explorer (MSD)“. 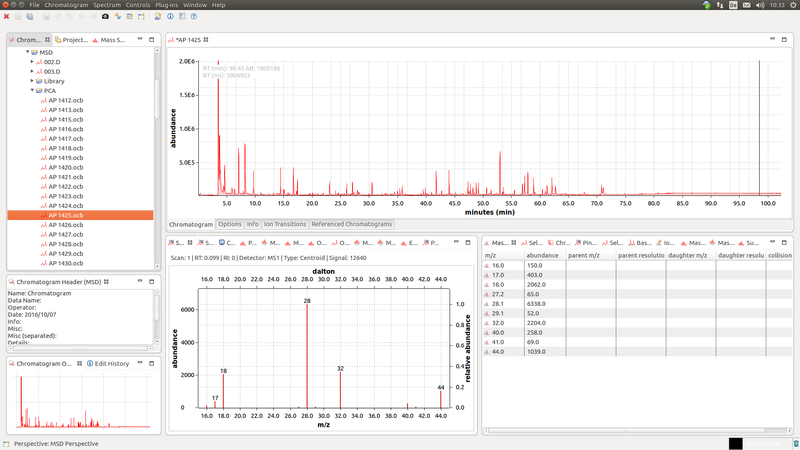 Then detect and integrate peaks. You could alternatively use deconvolution techniques like AMDIS. 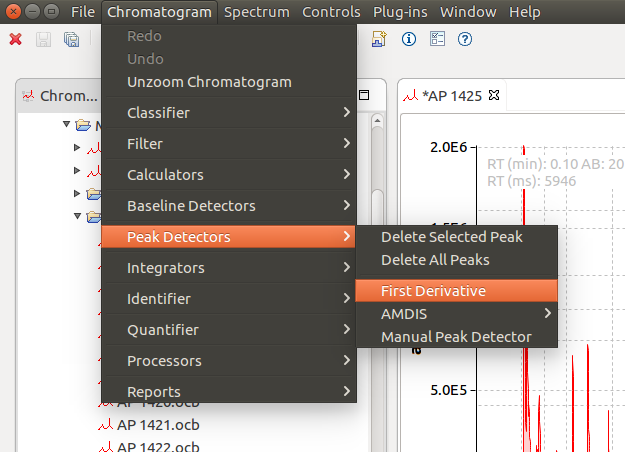 In this case, we use the “First Derivative” peak detector. The detected peaks are marked with an inverted triangle. Please apply a peak integrator then, in this case the “Integrator Trapezoid“. 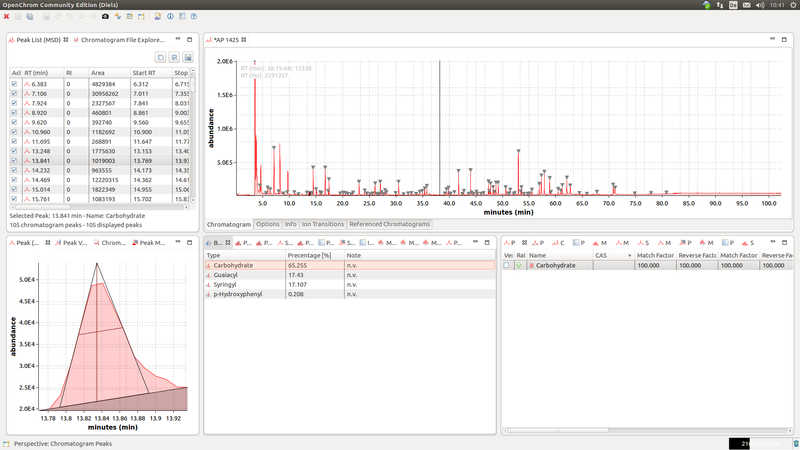 The areas are listed in the “Peak List” view. Each peak needs to be identified now. 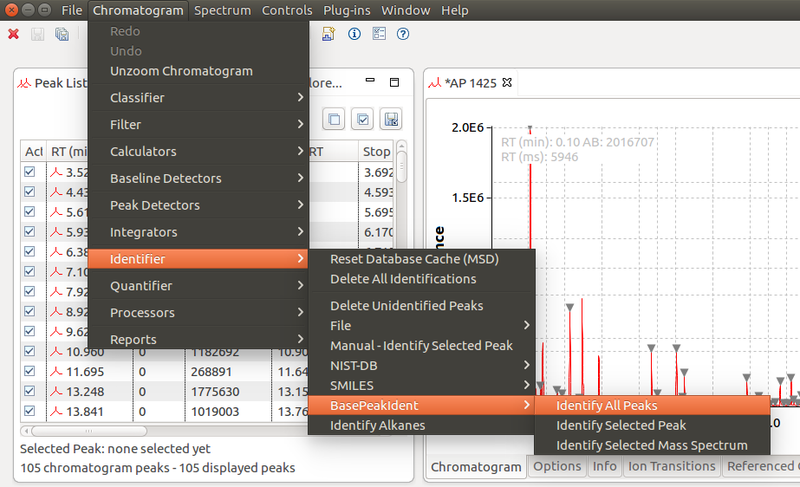 Please tun the “Base Peak Identifier” on all selected peaks. 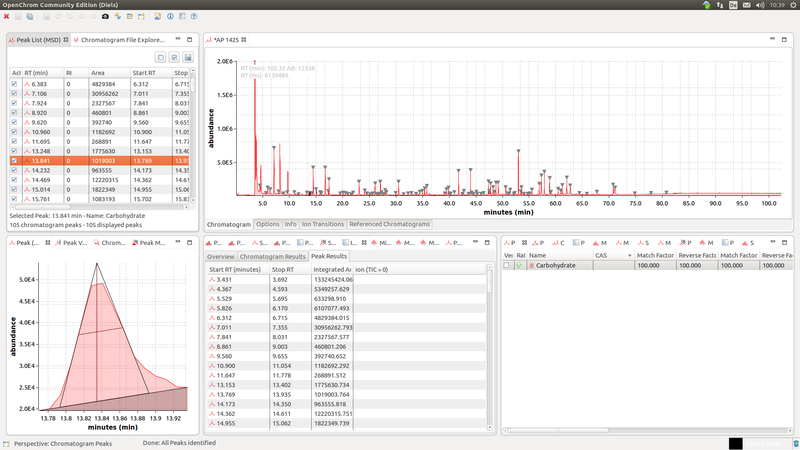 The run the base peak classifier to calculate the SGH ratio. 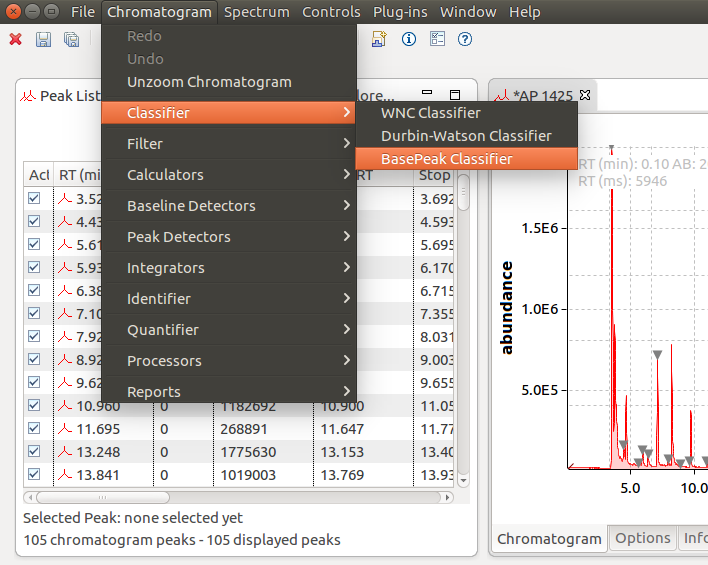 The percentage values are displayed in the “BasePeak Classifier” view.